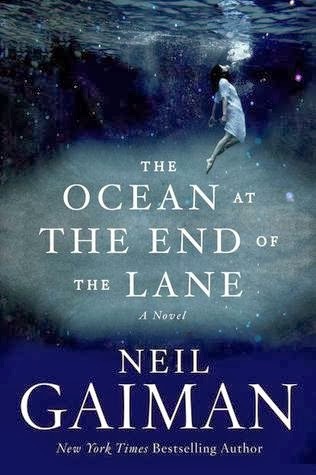 For my first bookish quote for this year I thought I would share a quote from The Ocean at the End of the Lane by Neil Gaiman which I read towards the end of last year. I took a book and went out into the garden. It was a warm spring day, and sunny, and I climbed up a rope ladder to the lowest branch of the big beech tree, sat on it, and read my book. I was not scared of anything, when I read my book: I was far away, in ancient Egypt, learning about Hathor, and how she had stalked Egypt in the form of a lioness, and she had killed so many people that the sands of Egypt turned red, and how they had only defeated her by mixing beer and honey and sleeping draughts, and dying this concoction red, so she thought it was blood, and she drank it, and fell asleep. Ra, the father of the gods, made her the goddess of love after that, so the wounds she had inflicted on people would now only be wounds of the heart. I wondered why the gods had done that. Why hadn't they just killed her, when they had the chance? I liked myths. They weren't adult stories and they weren't children's stories. They were better than that. They just were. Adult stories never made sense, and they were so slow to start. They made me feel like there were secrets, Masonic, mythic secrets, to adulthood. Why didn't adults want to read about Narnia, about secret islands and smugglers and dangerous fairies? There were quite a few quoteworthy sections in this book!